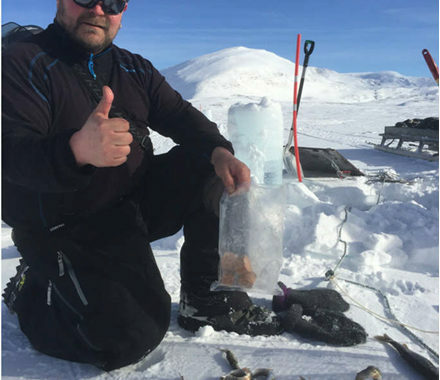 Kitdal Hunting and Sport fishing Association (KJSF) recently made some comprehensive trials on catching Arctic Chars with a newly developed bait from Kvalvik, and the results were remarkably positive. The bait was tested in pots(traps) versus a control bait consisting of shrimp. The results showed no significant difference in catch rates between shrimp and the new Kvalvik bait. In other words – both were equally effective. Further, it was demonstrated that the new Kvalvik bait had a much longer lasting effect, and was still fishing actively after one week in the water. This gives implications of an enormous potential within lake cultivation work as well as within angling. Product developers at Kvalvikbait are now starting work to make the product available for angling associations as well as sports- and recreational anglers world wide.